CAIRO, Nov. 22 (Xinhua) -- A delegation of the Asian Infrastructure Investment Bank (AIIB) will conclude a trip to Egypt on Thursday by visiting the site of a national solar energy project in the Upper Egyptian city of Aswan. The total cost of Aswan project hits around 210 million U.S. dollars. The bank delegates held important talks with government officials and investment banks in Egypt for setting up joint ventures especially in the infrastructure and energy fields, said Finance Minister Mohamed Ma'it in a statement on Thursday. During the meeting, the AIIB delegates explained the current economic reform measures adopted by the Egyptian government and investment projects and potentials in the country, he added. Their meeting also dealt with the positive outcome of the reform program to upgrade the ranking of the Egyptian economy by international financial institutions, he said. Their talks with the Egyptian side covered measure to enhance joint cooperation along with funding projects in the private sector, he added. On Wednesday, the AIIB delegation praised government's achievements in Suez Canal Corridor projects. Egypt's official MENA news agency reported that the delegation, which paid a visit to the Suez Canal area, also hailed the investment opportunities in the corridor. Concluding its two-day visit in Suez Canal cities of Ismailia and Port Said, the delegation expressed willingness to pump new money for investments in Egypt's infrastructure sector. Egyptian Investment and International Cooperation Minister, Sahar Nasr, said that the Egyptian government is working to attract more investors to invest in the country's mega projects, mainly in renewable energy, sewage networks, land reclamation and fish farming, according to MENA. For his part, Chairman of the Suez Canal Authority and the Suez Canal Economic Zone (SCZone), Mohab Mamish, said that Egypt is keen to deepen cooperation with the AIIB in order to develop the infrastructure of the SCZone. The AIIB delegation and Egyptian officials toured a number of projects in the SCZone, including fish farms and the East Port Said Port. The Egyptian State attaches great importance to developing the canal region in accordance with a comprehensive scientific plan that is capable of luring investors, Mamish said. 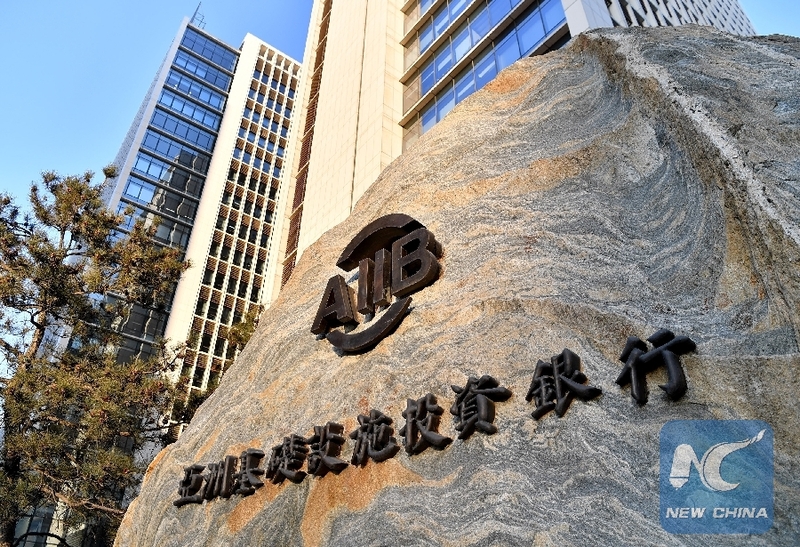 Chairman of the board of the AIIB, Jin Liqun, said he was surprised in the past few days by the Egyptian government on its plans in the fields of economic, financial and monetary reform, describing Egypt's latest's accomplishment as "impressive." Liqun stressed that AIIB pays great attention to Egypt, therefore, it was the first non-Asian country where the bank officials visit. He also hailed the great construction being carried out in the New Administrative Capital. Ma'it added investments should be increased and all potentials directed to improving the investment environment including flexible laws and regulations, facilitating procedures and eradicating bureaucracy. "Investments should be increased and all potentials directed to improving the investment environment including flexible laws and regulations, facilitating procedures and eradicating bureaucracy. All this has been taken into consideration in the new investment law," he said. Launched in 2016, AIIB is a multilateral development bank that aims to support the building of infrastructure in the Asia-Pacific region. The bank currently has 87 member states from around the world.